Covercraft SeatSaver seat covers will keep your seats looking great for years, offering custom fitted protection from sun, dirt, and anything else you can throw at them. SeatSavers are custom fitted for each vehicle and are designed to simply slip on and off without requiring any tools. This makes the occasional clean up a breeze. These car seat covers are machine washable and dryer friendly, just run them through your washer, dryer, and put them back on! 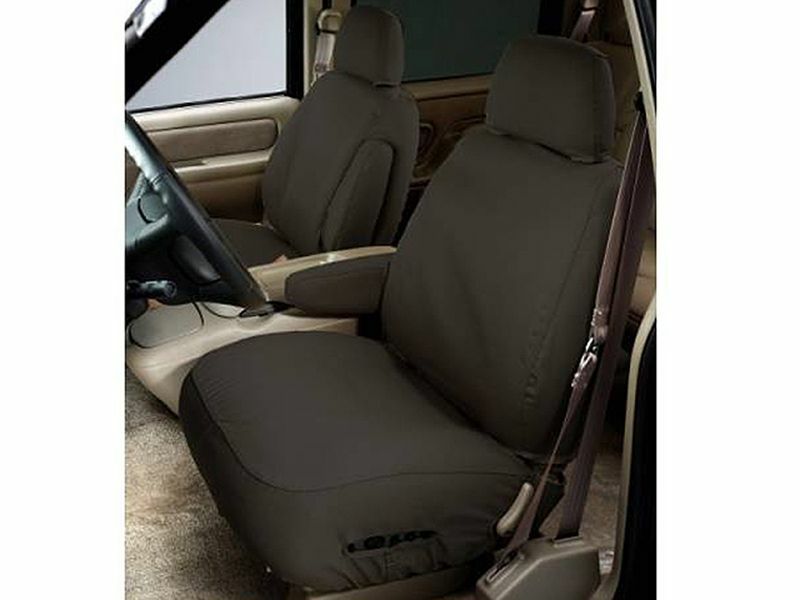 Covercraft truck seat covers are available in two different fabrics. Choose either a breathable poly cotton fabric that is protected with a DWR (durable water repellency) finish that keeps grease and other staining materials from ever reaching your seats. 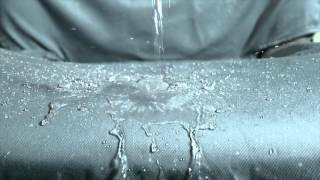 If you're looking for a water proof material you'll want the polyester fabric which is heavy duty and dense and will keep all liquids off your seat. The coating also protects against damaging UV rays keeping the color you selected the color you keep. Choose from charcoal black, grey, misty grey, tan, taupe, west sand. SeatSaver car seat covers become softer and even more comfortable with each washing and unlike neoprene or vinyl seat covers, SeatSaver truck seat covers won't give you that "sticky" feeling. Convenient, comfy, and easy to deal with is hard to beat. Order your new seat covers today! Covercraft offers a one year warranty on all SeatSaver car seat covers, truck seat covers, and custom seat covers. The SeatSaver seat covers by Covercraft offer an easy at home installation. For additional information please call us at 1-877-216-5446 or 701-253-5906.